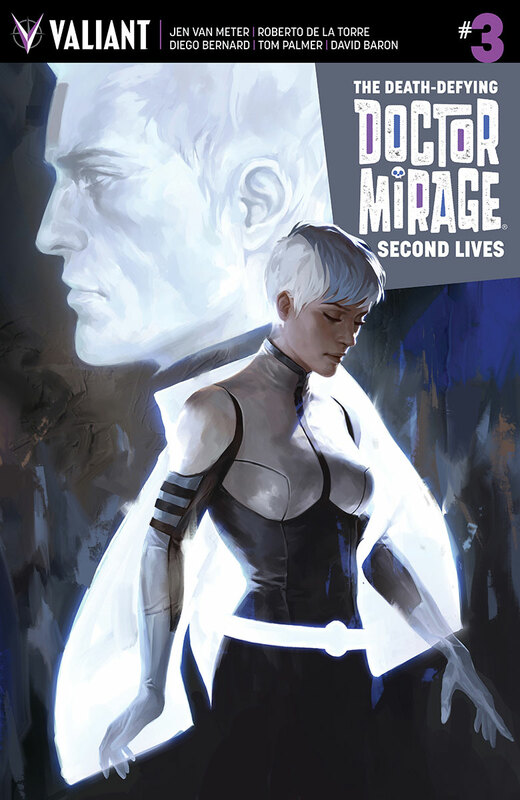 The continuing supernatural adventures of Dr Mirage, her discorporate husband Hwen and their attempts to thwart the undead evil sorcerer De Walt make for a fine yarn. This comic clicks on at a great pace, not only managing to advance the core plot but constantly adding more depth to both the core and secondary characters. It manages to pack in good guys that you don’t like overmuch and bad guys you have sympathy for alongside plot conflicts on personal and grander levels without ever feeling crowded, and that’s a real achievement. The artwork makes the comic a joy to read with a scratchy, old fashioned style adding atmosphere to a story which feels like it belongs in a different era. A muted palette could potentially lead to a drab strip but the flashes of light from the supernatural elements and the sense of tense motion which is conveyed in the linework really makes for a distinctive and appealing comic. There are some parts of the strip where there is perhaps a little too much text and exposition which disrupts the flow of the comic a bit, but this is more than countered by some flashes which snap you back into the emotional heart of the story. All in all, this is yet another stylish, layered and emotional installment in what has been a quality series.